The CASA (City of Albuquerque Senior Affairs) Kitchen, is a state-of-the-art commercial kitchen with an estimated capacity of producing 2,000 hot meals a day, providing for both the home delivered meal program and the meal sites. 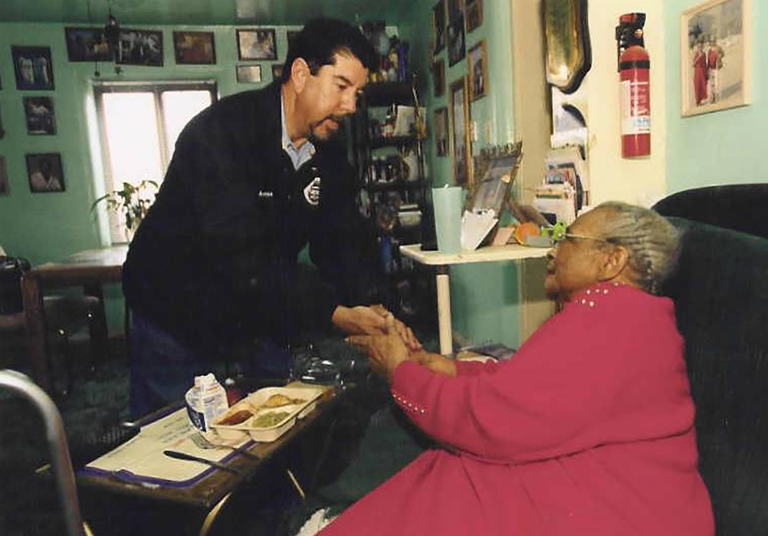 Currently, approximately 160,000 home delivered meals are prepared and delivered to the elderly, and another 170,000 meals are prepared and provided at the meal sites and senior centers each year. The Department of Senior Affairs' network of meal sites are for seniors aged 60+ and are located throughout Albuquerque and Bernalillo County. The meal sites are generally open Monday through Friday, 9 a.m. - 3 p.m., and provide activities as well as a hot noon meal. Reservations are required for lunch and donations are requested for the meal. Menus and calendars of activities are available at each meal site. Limited transportation for neighborhood residents is available to some sites. Call each site for more information! Seniors age 60+ who are unable to cook for themselves, have no one else to cook for them and are unable to attend a meal site may be eligible to receive a home delivered meal on a donation basis. Dog and cat food can be delivered for those receiving home delivered meals on a monthly basis. Care Coordinators will conduct an eligibility assessment for this program. For more information about Home Delivered Meals, contact our Senior Information and Assistance Program at (505)764-6400.